Despite spending $2.4 billion in 2014 to buy Harris Teeter, despite spending $200 million to buy meal-in-a-box delivery company Home Chef, and despite reporting that year-over-year revenues were up $1 billion in the first quarter of 2018, Kroger, the third largest grocery retailer in the United States, announced earlier this month that they will close all of their stores in the Triangle by August 14th, a move that will cost some 1,500 people​ their good-paying union jobs. For the hardworking men and women about to lose their jobs due to a decision to close 14 Kroger stores, the future is uncertain and providing for their families will be difficult. These workers deserve to be treated better after all of their service to Kroger, and they should be ensured jobs at other Kroger locations going forward — including the 8 locations that “Harris Teeter” (it’s now the same company) said it would take over. 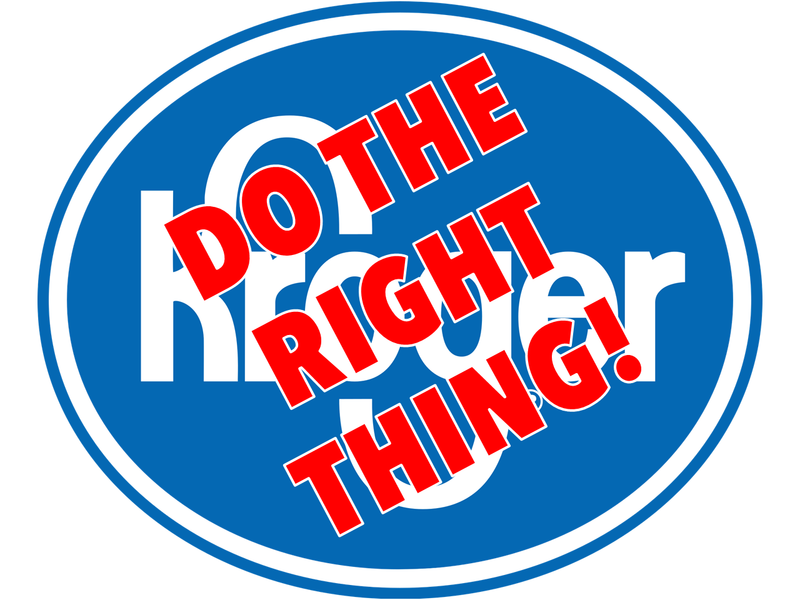 Sign this petition urging Kroger to do the right thing and ensure that everyone affected buy its decision to close “Kroger” stores in the Triangle (8 of which will reopen as “Harris Teeter”), is able to keep their job. Our 61st Annual Convention will be held at the Hilton North Raleigh/Midtown in Raleigh, NC on Thursday and Friday, September 20-21, 2018. Registration will begin at 7:00pm on Wed. (9/19) and continue at 8:00am on Thurs. (9/20). The Annual Convention will convene at 9:00am on Thurs., (9/20). Read more. Workers and advocates celebrated this week as Winston-Salem City Council members voted unanimously to approve a minimum wage of $15 an hour or more for city workers by 2021. The move shows growing momentum in North Carolina, following similar victories in Greensboro, Raleigh, Durham and Wake County. Read more. 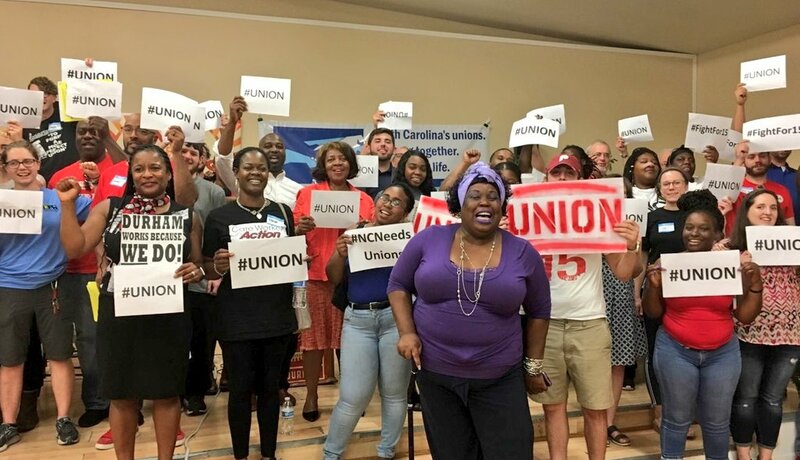 It looked and sounded like an old-fashioned union rally in Durham Thursday night – which grabs your attention considering unions don’t have a lot of political power in North Carolina. This was an effort to turn that around. Read more. Watch recorded video of the Facebook live broadcast. Follow and retweet all the #NCNeedsUnions coverage on Twitter. We’re Hiring a Paid Intern for Fall 2018! We’re looking for young people with imagination, smarts, energy, grit, and the skills and drive to help us win victories for working as our paid summer intern. Pay is $16/hour. The deadline to apply for Fall 2018 is Friday, April 17th. Read more. 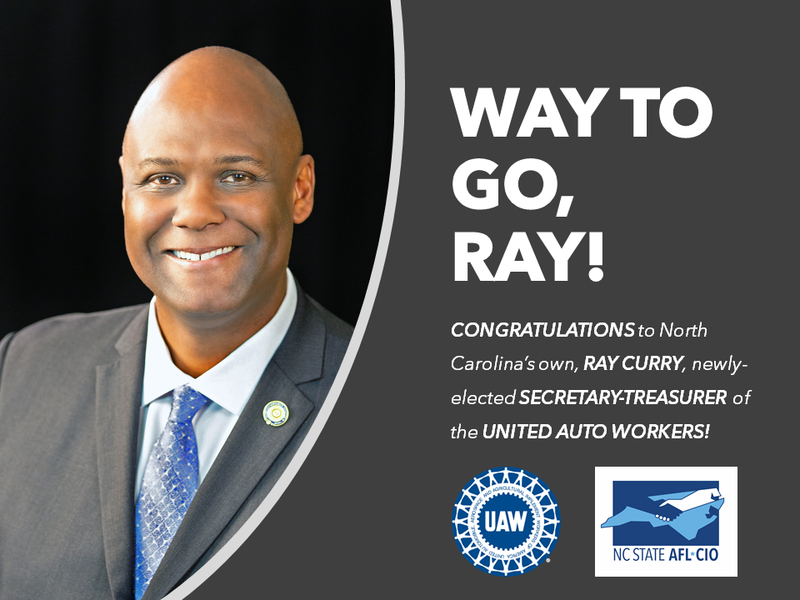 CONGRATULATIONS to Ray Curry, who was elected secretary-treasurer of the UAW International Union at its 37th Constitutional Convention earlier this month. Let’s #OrganizeTheSouth, together! Share this. 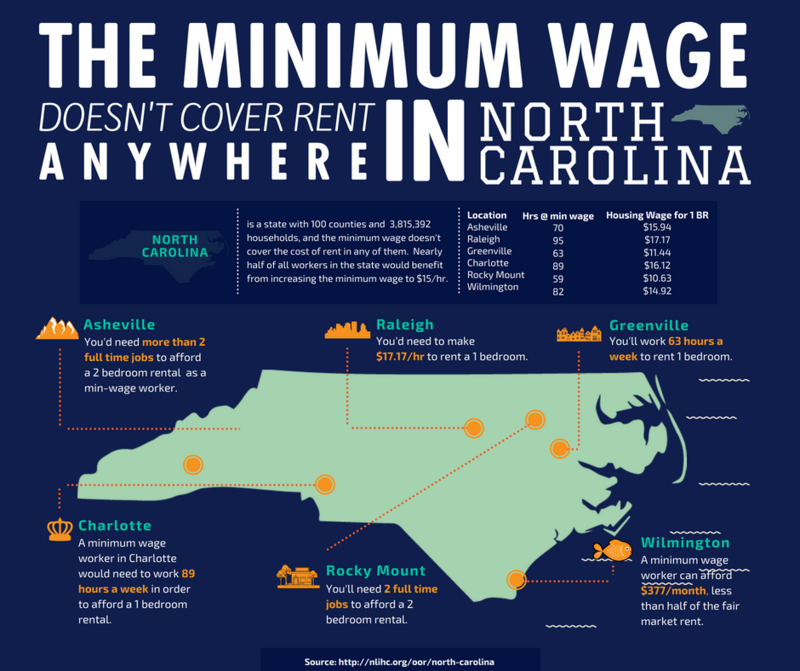 When the rent is too high for people working full-time for minimum wages, it’s time for $15/hour in North Carolina! Share this.